KDUK is the UK sales and marketing subsidiary of a Japanese-owned multinational that manufactures office printers, copiers and associated accessories and software, employing approximately 165 people. It follows the corporate philosophy established by its parent company, Kyocera Corporation, which strives to operate in a fair and honourable way and to provide opportunities for the material and intellectual growth of all its employees. The Kyocera philosophy was conceived by its Japanese founder and, although it is universally applied across all global divisions, it is supported by communication tools that were created for a Japanese audience. As an autonomous subsidiary, KDUK is free to implement the corporate philosophy in its own way and has devised a local version of the philosophy that is more accessible for a western workforce. It has developed a culture model called the 5Cs which describes the values and behaviours that are called for in order to create a workplace that fulfils the promise of the Kyocera philosophy and supports the company purpose. The aim of the 5Cs philosophy is to create an open, equitable and supportive environment where everybody can contribute equally to the shared goals of the business; this underpins KDKU’s commitment to creating a democratic and harmonious workplace in which employees at all levels work together with mutual respect. The KDUK culture model was developed by a team of employees, working with an external facilitator, rather than handed down from management. The 5Cs are consciousness, communication, commitment, co-operation and courage. Courage is a recent addition to the original set of four, introduced in response to the desire for staff to be bolder in challenging established norms, more ambitious in their personal goals and more outspoken about their ideas and concerns. Open communication is a strong theme across all of the 5Cs and there is an explicit commitment to making KDUK a place where it is safe to speak out and everybody’s view is heard and respected. The 5Cs model creates a common language for articulating the company’s values and ensuring that employees understand and can practice the behaviours that embed them into the company culture. It was developed by a team of employees, working with an external facilitator, rather than handed down from management. Staff are trained in the 5Cs when they join the business and off-site workshops are held annually to reinforce understanding, removing groups of staff from the business in cross-functional teams so that it does not interrupt service to customers. The workshops include classroom sessions, activity-based learning and business games; there is also a social element. KDUK feels that mutual trust and understanding is enhanced by social interaction and endeavours to provide opportunities for this both inside and outside the workplace; a range of social activities such as table tennis and pool are catered for in the head office building and a thriving social club, which is subsidised, arranges a wide range of out of hours activities to which all staff have equal access. The extent to which staff embody the values and display the behaviours of the 5Cs is assessed as part of the annual performance development review, and is given equal weight with skills-based evaluation. Strong consideration is given to attitude when recruiting, in recognition of the belief of Dr Inamori, who founded the business, that success is a factor of ability x effort x attitude, with ability and effort represented on a scale from 1-100 and attitude scaled from -100 to +100. Training needs are reviewed both at personal development reviews and informally at other times; the company is supportive of staff who pursue professional qualifications; it provides paid study leave and contributes to tuition fees under mutually agreed conditions. Staff are kept informed of the issues affecting the business in several ways. Middle managers attend a monthly operational review meeting at which business challenges are aired and solutions devised, often by assembling temporary project teams to tackle specific issues. The outcomes of these meetings are cascaded down at departmental meetings and feedback invited. There are quarterly town hall meetings at which the directors present the company’s progress against its goals, share future plans and invite questions about the strategy; this, too, is followed by a social gathering. All directors have an open-door policy. All staff receive a bonus twice per year, based on the company’s achievement of its revenue and profit targets. The award is the same for everybody – one week’s salary each for achievement of half-year revenue and half-year profit, amounting to a potential bonus of four weeks’ salary if the company achieves all its targets. There is also a draw for two prizes of £100 each (net of tax) made every month that the company achieves its sales target. All staff, but not the directors, are included in the draw but are excluded for the remainder of the financial year if they win. This was introduced as the result of a suggestion from a member of staff. Policies such as commitment to The Living Wage, entitlement to flexible working, payroll giving, salary sacrifice for childcare and other benefits outlined in full elsewhere in KDUK’s answers to the Responsible 100 questions are recognised as having a positive influence on employee engagement. In addition, KDUK endeavours to promote employee engagement as a by-product of other activities – for example, when adopting a policy of sponsoring youth sports teams as part of its community contribution programme, the company decided to invite staff to nominate the teams their children play for. When KDUK moved to new HQ premises in 2013, a team of volunteers from across the business were given the opportunity to work as advisors to the fit-out project, to achieve a working environment that staff would find both comfortable and inspiring. The company aims to operate in a way that is fair and transparent, so that staff feel fully involved and conflicts are resolved before they become grievances. In line with the principles of the UN Global Compact, of which our parent company is a signatory, our CSR policy upholds freedom of association and the right to collective bargaining, both in our own businesses and in our supply chain. However, KDUK’s industry is not heavily unionised and so far there has been no pressure from staff to recognise a trade union. We are required by our parent company to offer our staff the opportunity to form a works council; so far staff have not felt it necessary to take this up. There are few formal methods of measuring staff satisfaction, although surveys are conducted after each wave of culture and philosophy training and each IT support intervention, and there is an annual facilities survey to measure satisfaction with the working environment. This feels broadly consistent with the values-led approach to promoting staff engagement, however best practice probably demands that formal analysis of employee satisfaction be conducted, and this is currently under consideration. 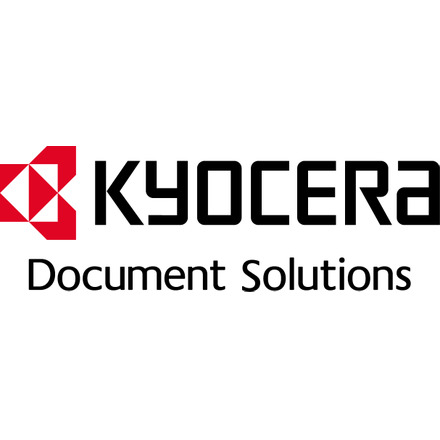 KYOCERA Document Solutions (UK) answered Version 1 of this question. It has since been updated to Version 2. View a side-by-side comparison of the changes to the question here.